On a warm, partly cloudy Saturday in Ferndale, thousands of people donned their best rainbow gear and gathered on W 9 Mile road to show their Ferndale pride June 2. 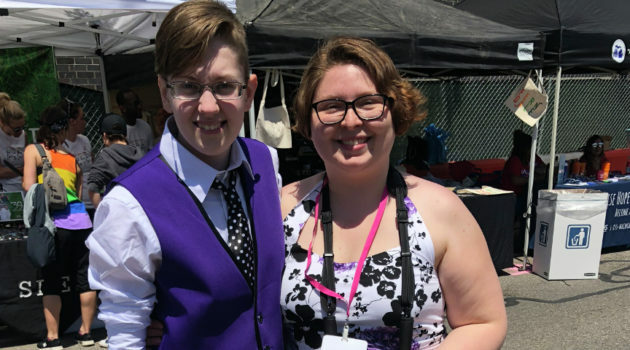 But, instead of a casual T-shirt or colorful tube socks, Tia Wheeler and Jenny Larson attended Ferndale Pride with clothes several cuts above the norm; a tuxedo and wedding dress. The couple’s marriage at the event’s main stage fittingly kickstarted the 2018 festival with a message of love and support delivered by Deacon Angela Lippard, of Christ the Good Shephard Independent Catholic Community, who presided over the couple’s wedding. 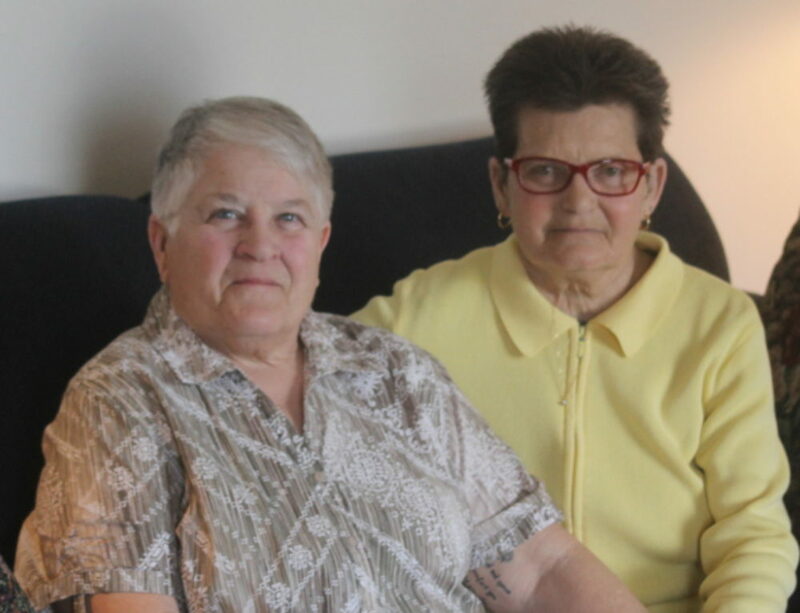 After the couple’s kiss and a cheer from the crowd, Larson took a stand at the microphone, making sure to emphasize another reason that the couple chose to get married at Ferndale Pride. When asked why the couple chose to highlight the asexual community in particular, Jenny Larson said that the balloon launch was a way to highlight a part of the LGBTQ community that doesn’t often get the recognition it deserves. It’s also where it made sense for the couple to tie the knot. Wheeler added that although she herself is not a member of the community, the increased visibility might shed more light on what it means to be asexual and to ward off myths about the asexual community. Michelle Gaddis, the director of the Ann Arbor Area Asexuals — the asexual meet-up group to which Larson belongs — agreed with Wheeler. This year is the first year there was an asexual booth at Ferndale Pride, and Gaddis said that its addition along with Wheeler and Larson’s marriage is a great step to dispelling misconceptions about the asexual community and reaffirming that they have a place in the LGBTQ community. Gaddis said that when she came out six years ago in high school, she constantly had to reexplain what her sexuality meant, and reaffirm that she was in the process of discovering her identity within a real orientation and not a made up phase. And Larson and Wheeler’s marriage is a testament to that point. Larson said that part of the reason that she fell in love with Wheeler was Wheeler’s ability to be learn about asexuality. More information about the Ann Arbor Asexuals group can be found online at facebook.com or meetup.com.